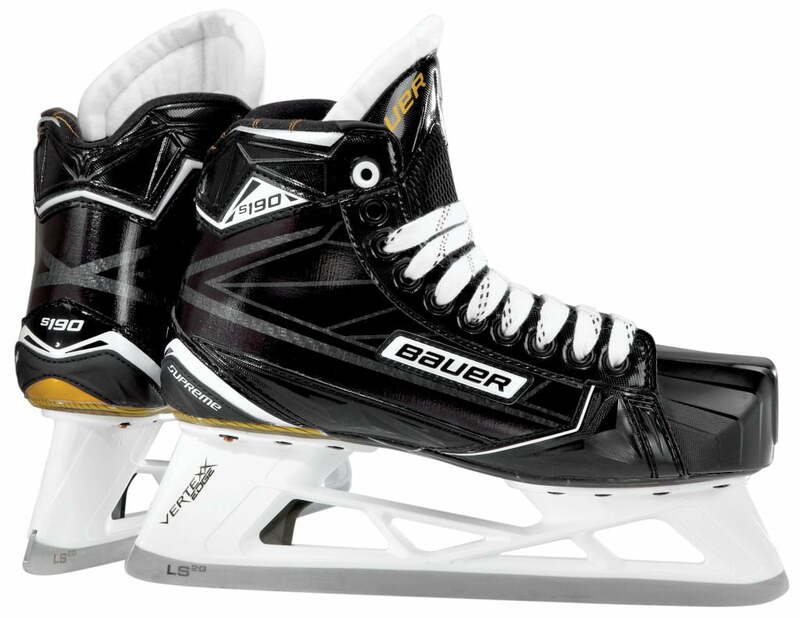 Bauer Supreme S190 Sr Goalie Skate | Sports Etc. 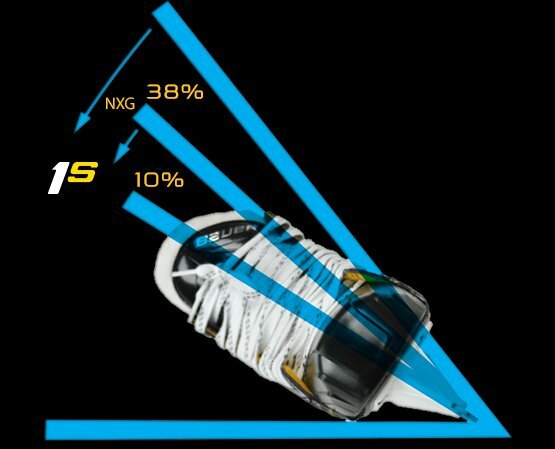 The asymmetric design in the Supreme S190 allows goalies to hold a deeper stance. Keep more aggressive attack angles thanks to the revolutionary VERTEXX EDGE holder. And the Hydra Max 2 liner keeps feet comfortable and dry during play. 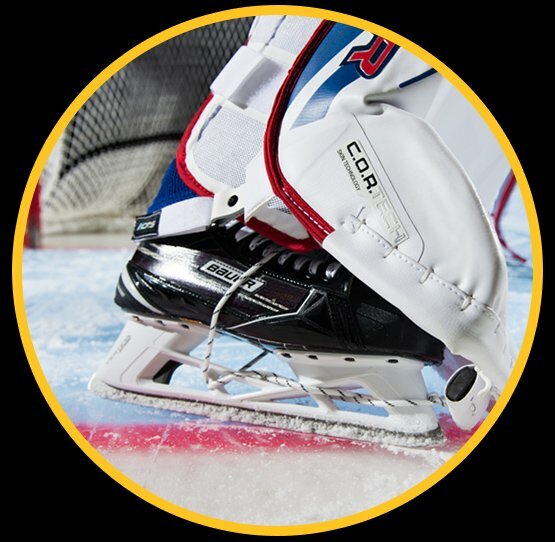 Sports Etc Performance To Value Rating– 9 out of 10– One of the better value skates available for mid-to-high end goalies looking for a performance skate.